I’ll tell you a story about the M25 crossing. Is it the one near Waltham Abbey?…. the chap involved is almost certainly deceased by now. I used to work in Epping Forest in the 1980s. 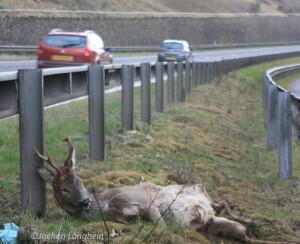 When the M25 was constructed the Conservators were very worried that the burgeoning Fallow Deer popn. on the Copped Hall Estate outside the motorway would never be able to colonize the Forest closer to London. Some of the bridges were constructed as wildlife crossing points although not with the same degree of finesse of more modern ‘green’ bridges and wildlife corridors. 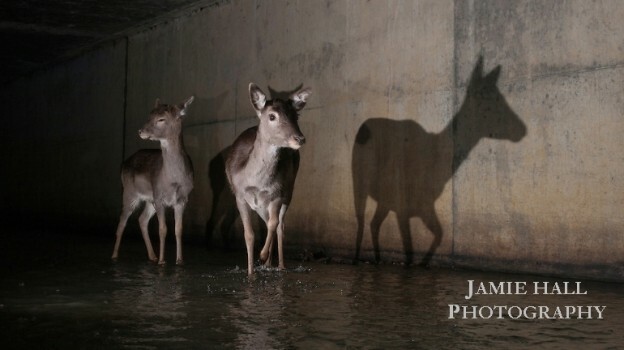 Months passed after the bridge was created and there were no signs of the deer wanting to use it. Worried, they asked George Matthews (?? – I think that was his name. He was a gamekeeper at Copped Hall). He took a bucket. 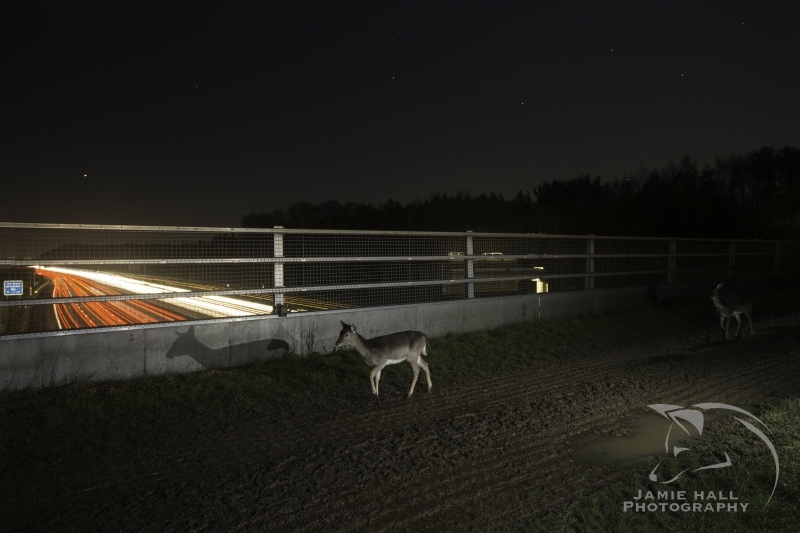 Went to the deer sanctuary in Loughton and filled it with Fallow Deer dung which he then strewed along the bridge and in the areas either side of the bridge. Within a week the deer were moving back and forth with no problems. Really good to hear more about the history of those near Epping and Copped Hall keeper. That narrow concrete bridge – also used by access vehicles – was the first place I filmed a buck crossing ten years ago (3rd of my youtube clips in playlist). I knew Donald Chapman (one of main fallow deer biologist at the time) who when M25 was about to be built argued at special committee in Parliament on behalf of the deer that bridges and a “cerviduct” tunnel should be built to ensure deer could cross. 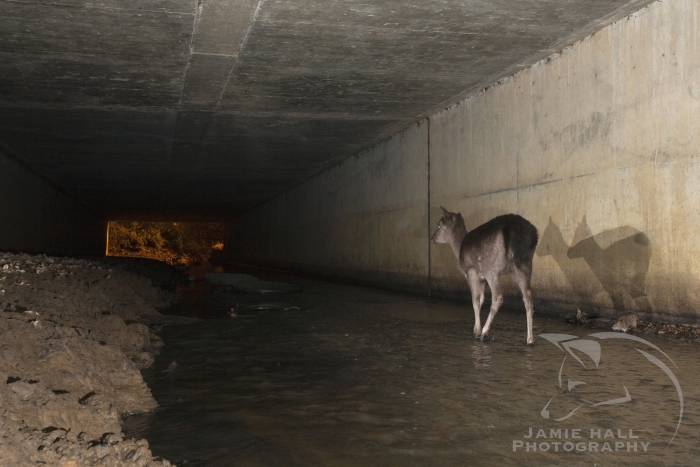 That’s not the same tunnel as now filmed with Jamie at other regions of M25 but shows deer will over time get used to all sorts of structures if can approach in good cover and left quiet at least part of the day.